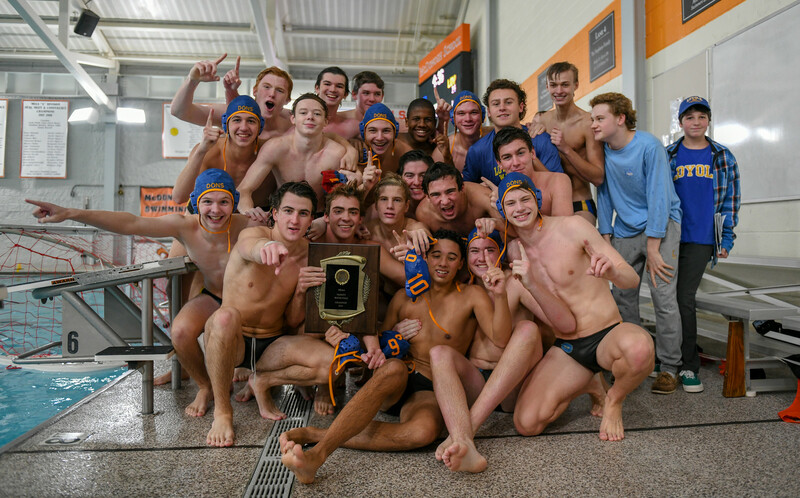 Varsity Water Polo captured the MIAA 'A' Conference title at McDonogh School on Saturday afternoon after defeating Gilman in the finals by a score of 14–5. Watch the entire championship match here, courtesy of Greyhound TV. 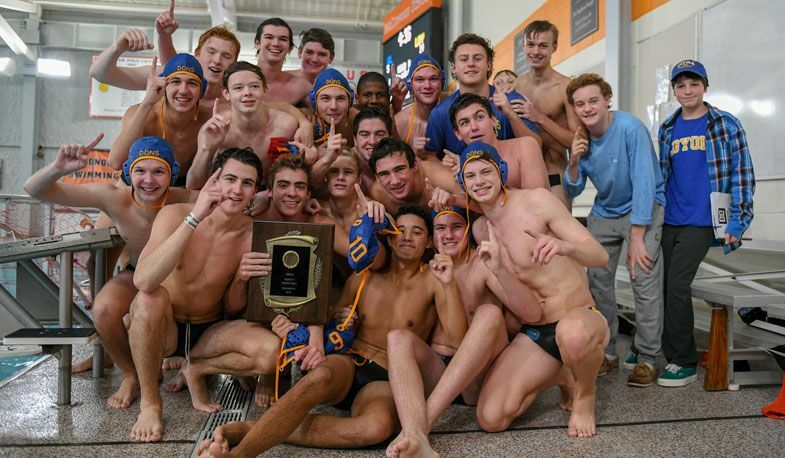 "The boys went into the game knowing they were going to have to be as tough as they possibly could," said first-year Head Coach Nick Breschi '13. "That is exactly how it went. It might have looked like a one-sided game, but it was a tough and gritty game the whole way through. The team came together and used each other as support and that is why we came out on top. We worked hard all season to push ourselves to our limits to see how good we could be. All that hard work showed on Saturday." The team only had one league loss throughout the entire regular season (9-1, MIAA), and that came against Gilman at home on Sept. 6. "The season as a whole was great," said Breschi. "I would say we came out of the gates this season a little slow, but we eventually found our rhythm and our speed, Most importantly, the boys came together as a team, and that is when we found the most success. The season is short, but we made the most of it." The Dons defeated Mount St. Joseph in the semifinals on Friday by a score of 13–5 to advance to the championship game. The team has made an appearance in the finals for the past 15 of 16 years and last won the championship in 2014. View photos from the championship match here, courtesy of Gerry Lindner, P '19.